Send Sweet Pink Bouquet to Chennai. Gifts to Chennai. Send Flowers to Chennai. Description : Let this assortment greet all that is new and hopeful. 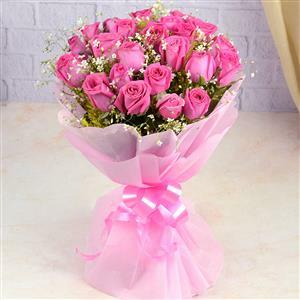 Send the collection of 24 Sweet pink roses with gysophila to Chennai through Gift2Chennai.com for the person you love the most. The roses will be the symblol of your love and affection. Send Gifts to Chennai and let your gift enthrall your loved one.